NGA's Welding Qualification Program was released to the industry in the spring of 2003. 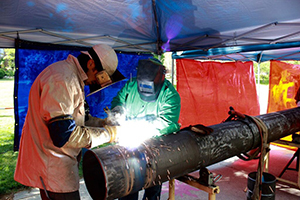 The Program is modeled after the successful NGA Pipe Joining Qualification Program. The Program was developed through a joint effort of personnel from LDCs, contractors and welding test agencies, and included input from state safety officials. It establishes a regional approach for meeting the requirements of DOT's welder qualification regulations. The Program offers distribution companies the opportunity to satisfy regulatory requirements in a more efficient and effective manner. For contractors, it eliminates the need for multiple qualifications leading to reduced down time and cost.